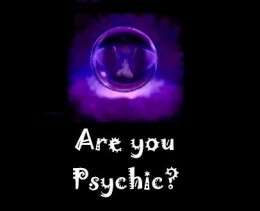 The Paranormal :: Are Pet Psychics Real? Why does your kitty keep pooping on the rug? Why does your dog run off with its tail between its legs every time the weird guy from next door pops round to borrow some sugar? Was your budgie a Roman emperor in a past life? These are just some of the questions you may or may not have been pondering regarding the inner workings of your pets’ mind, the sort of questions you’ll most likely never find answers to, unless of course you consult with and harness the incredible powers of a trained pet psychic. Pet psychics, mystical magical masters of the unknown realms who claim to have the ability to communicate with or read the minds of your most beloved companions, your pets. One account tells of a woman who contacted a pet psychic when her Great Dane dog began going to the toilet inside the house frequently, the dog was trained to go outside, so she considered this to be very unusual behaviour for her beloved pet. 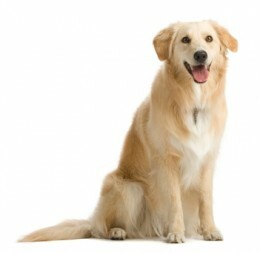 She contacted a pet psychic who was able to communicate with her dog (supposedly) and who told the dog owner that her pet was experiencing problems with its bladder. The owner of the Great Dane on the pet psychics advice next took her pet to the vets where it was confirmed that her pet was suffering from a bladder infection, this was then treated with antibiotics and her dog was soon back to its old self. Pets can exhibit some very strange behavior at times, and being unable to talk it is nigh on impossible to understand the reasons behind sudden behavioral changes, pet psychics like Doctor Doolittle (they claim) are able to understand the inner workings of your pets mind, and through doing so provide solutions to pet related problems. One account tells of a woman who contacted a pet psychic after one of her pet cats began to attack and claw at her other cat, the pet psychic was able to remotely read the animals thoughts and provide a simple solution to the problem. The cat owner had recently moved house which had unsettled the cat, following the move to the new house the cat in question had not been provided with its own scratch post, something which it had enjoyed at its previous residence. When a new scratch post was provided for the troublesome kitty the attacks upon the woman’s other cat ceased. Pets for many people become like much loved members of the family, but they often have a habit of wandering off and getting lost. Some people would do anything for the return of their missing pet, but what do you do when the ‘missing, reward offered’ posters fail? One account tells of a woman who frantic at the loss of her pet kitty turned to an online pet psychic after her kitten had run away. The pet psychic was able to (using only a photograph of the cat) remotely communicate with the missing pet and inform its owner of its whereabouts. The cat owner tells how the pet psychic with great accuracy instructed her to check the small drainage hole near the brooke in her back garden, upon doing so this pet owner was relieved to find her little kitten peering up at her trapped inside. The kitten was easily freed and with thanks to the pet psychic; the pair were soon reunited. Are Pet Psychics Real? (Share your Thoughts Below). All animals are psychic. Except for the likes of hedgehogs - they never know when cars are coming for eg. I'm unsure about the humans though. Perhaps there's a nice bit of steady cash to be garnered from Dr Doolittling around the globe? I wonder if they are real also. The evidence is compelling for sure! I enjoyed reading this.